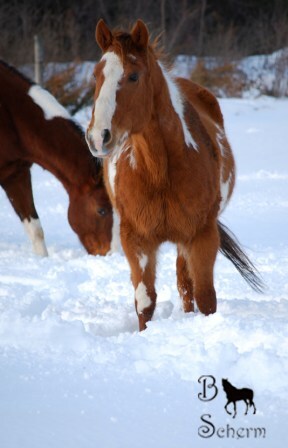 Diamonds On Ice (Icy) is a 1986 APHA/PtHA chestnut overo by Mr. Icy Hot (black tovero) by Emphasis (black tobiano), and out of Sansouci by Belmont Scare, a black AAA AQHA stallion. Icy was Champion Horse in Crossrails, Trail and SR Equit., and Reserve Champion Horse in the Sr. Eng. Division at SLVHA in 1995. 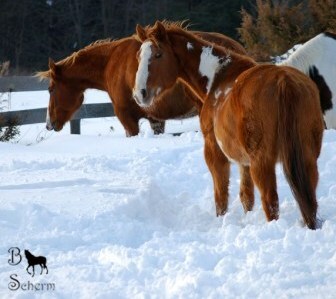 She has produced a wide range of colors and coat patterns on her foals. All of her offspring have been intelligent and easy to work with. Icy is currently retired from our broodmare band but she is a family favorite and she is still one of our best lesson horses. 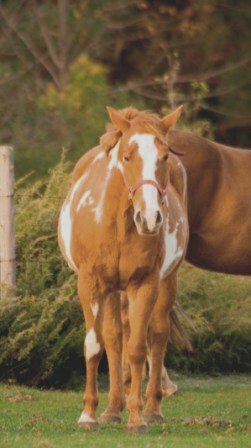 Her grandsire, Emphasis was a 1975 black tovero APHA stallion. 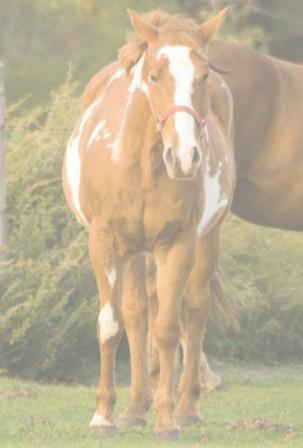 He was a PtHA Champion and Multiple APHA Halter and Performance Point Earning Sire. 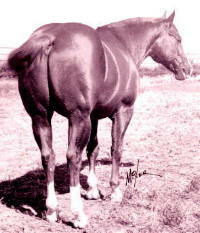 Emphasis also earned PtHA ROM's in Halter, Tobiano Color, Western Pleasure and English Pleasure. What A Bonanza was a 1964 AQHA stallion. He was Reserve Champion High Point Stallion in the Nation as a 3-year old and a Superior Halter Horse. What A Bonanza was the sire of ROM Arena Horses and Superior Halter and Performance Horses. War Leo Bonanza was a 1968 sorrel AQHA stallion. He earned an ROM (Arena) and was an AQHA Superior Halter Horse, High Point Hunter Under Saddle and High Point Halter Horse. 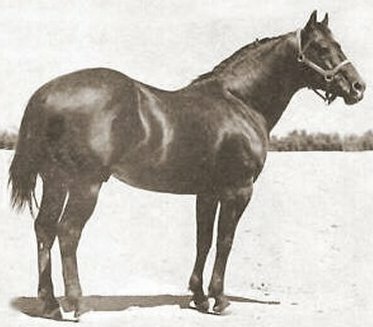 War Leo Bonanza was also an ROM Arena Sire, Superior Performance Sire and Producer of Daughters. 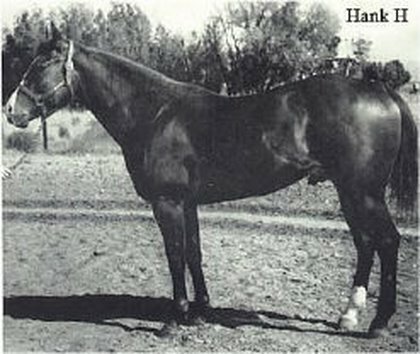 Coys Bonanza was a 1959 sorrel AQHA stallion. 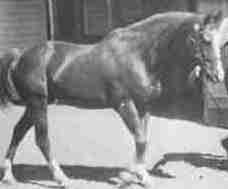 He was a Superior Halter Horse, High Point Halter Horse and AQHA Champion. He earned ROM's in both Race and Arena and was AAA rated. Coys Bonanza was a Leading Sire of AQHA Champions, Halter Horse Champions and Performance Horse Champions. 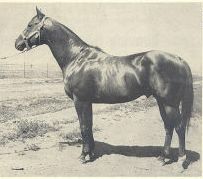 Poco Champ was a 1950 bay AQHA son of Poco Bueno. He was an AQHA Champion, Superior Halter Horse and ROM Arena earner and NCHA Money earner. Poco Champ was the sire of AQHA Champions, Superior Halter Horses, Superior Performance Horses and ROM earners.